So you decided to make a website yourself and luckily you know the first step i.e. you need to buy a web address for your website. 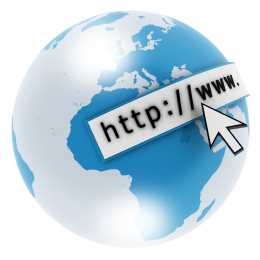 The web address is popularly known as a domain or URL. Choosing a good domain name is first and most crucial step if you are looking to make something big out of your website. Strategy to buy a domain totally differs depending on what you want make out of it. Here are some good examples of relationship between goal of your website and domain you chose. There could be endless examples of goals and strategies to chose a domain name for your upcoming website. Only you can decide what strategy fits best to your goal. Always remember, changing domain after your website starts generating traffic is a big pain and not recommended. Once you have finalized over a strategy, its time to finalize the name. If you are making a website for an organization, the best bet is to try .com with you company name. In case its not available, try .org or your country’s TLD. You can also chose to use abbreviations if you company name is too long. Except of the example 1, its very likely that the name you wish to buy is already gone. 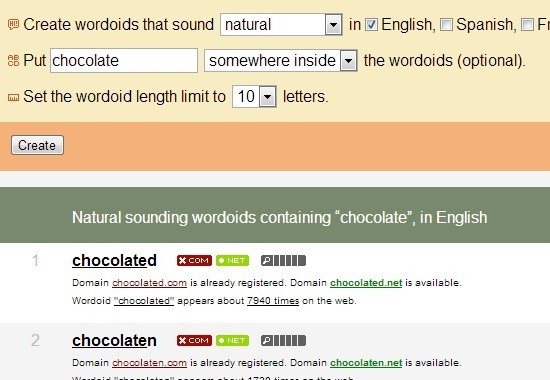 If you are making a website on chocolates and want to buy chocolates.com, be assured its already gone. So the catch is to buy a brand-able domain with your preferred word included. There are a few tools to help you out with this. I prefer Wordoid.com or dotomator.com. Put your word with the requirements and it will suggest you the modifications you can try buying. Tip: If you are creating a website to pull traffic from search engines, its highly recommended to research your keywords in Google Keyword Tool and proceed with words with high search and low competition. (More on it later). A domain name registrar is the organization through which you book your domain. Believe it or not, every registrar more or less provides the similar set of facilities. However, going with a popular registrar means a larger community to seek support if you run into a technical issue. Some popular registrar are Godaddy, Name.com etc. You heard it right. Like all other product segments, domain names also come with deals and discount. Search on Google for coupon codes for your registrar (e.g. Godaddy coupon codes) and you should be able to save some good bucks. For example, Godaddy normally charges $10-$15 for .com domains but sometimes it can be purchased for as low as $0.99 using coupon codes. So now when you have selected and purchased a domain, now what? Its time to take the next step toward creating your own full fledged websites.